Aside from the high end GA-Z97X-Gaming G1 WIFI Black Edition, Gigabyte is also preparing a more affordable and budget friendly Z97 motherboard for the gamers – the Gigabyte G1.Gaming Z97 motherboard. 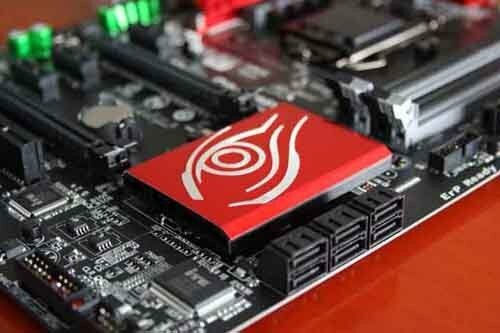 It has the same red and black color theme like its bigger brother and a similar chipset heatsink design. It’s also based on Intel’s Z97 Express Chipset (obviously) and supports 4th Gen Intel Haswell and Haswell Refresh processors out of the box, thanks to the same LGA Socket 1150. It may also support the upcoming Intel Devil’s Canyon K-series processors, as well as the much awaited 5th Gen Broadwell processors. Check out the rest of its features and specifications below. The Gigabyte G1.Gaming Z97 motherboard has all the essential features that every gamers need. To start, it has an 8 Phase VRM and draws its power from 8pin EPS and 24pin ATX power connectors. 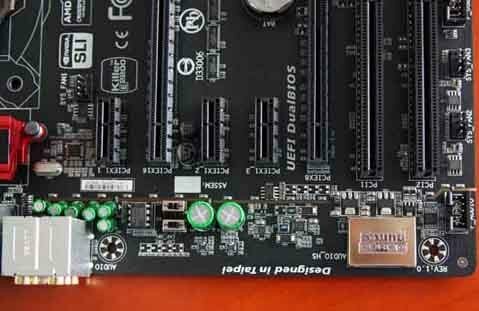 It has 4x DDR3 DIMM slots that will support up to 32GB of dual channel memory. I’m not sure yet whether it can support memory speeds of up to 3000Mhz (OC), but hopefully it can. There’s also an onboard power button, a debug LED display and some switches. 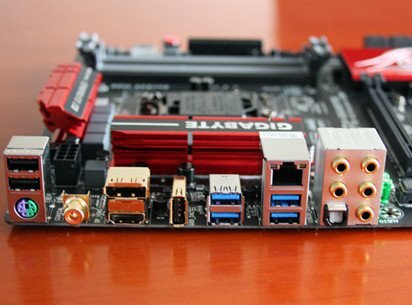 Moving on the lower portion of the Gigabyte G1.Gaming Z97’s PCB, it has 6x SATA III 6Gbps ports, a dual BIOS chips, a number of USB 3.0/2.0 headers and fan headers as well. It has 3x PCIE 3.0 x1 slots for add-in cards and 2x PCIE 3.0 x16 slots that support NVIDIA SLI and AMD CrossFireX multi GPU configuration in x16/x8 speeds; there are also two legacy PCI slots. It features Creative Sound Core 3D with 7.1 channel, and a user-replaceable OPMPs. Its audio core has 115dBA DAC, audiophile-grade electrolytic caps and an EMI Shielding (the LED path that separates the audio components from the rest of the motherboard). At the rear I/O panel, the mid-range Gigabyte G1.Gaming Z97 motherboard features a Killer E2100 or E2200 LAN port (not sure if it’s E2100 or E2200). There are also a number of USB 3.0 and USB 2.0 ports, DisplayPort, HDMI port, coaxial S/PDIF Out connector, optical S/PDIF Out connector, audio jacks and a PS/2 combo port. The rear panel is exactly like in the G1.Sniper Z87. What’s missing from this board is a SATA Express port and an board M.2 PCIE slot for Next Generation Form Factor Solid State Drives. I guess they were removed to keep it affordable as much as possible. 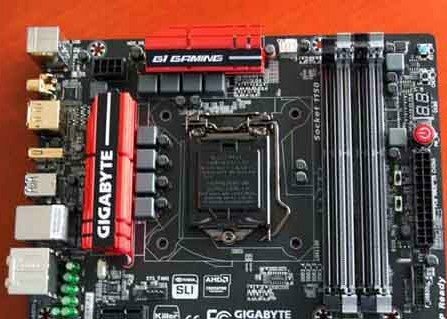 The Gigabyte G1.Gaming Z97 Motherboard is expected to be released on May 10 (or after) together with other Z97 motherboard lineup. I don’t have a suggested retail price right now, but it’s probably somewhere in $150 or more price range.